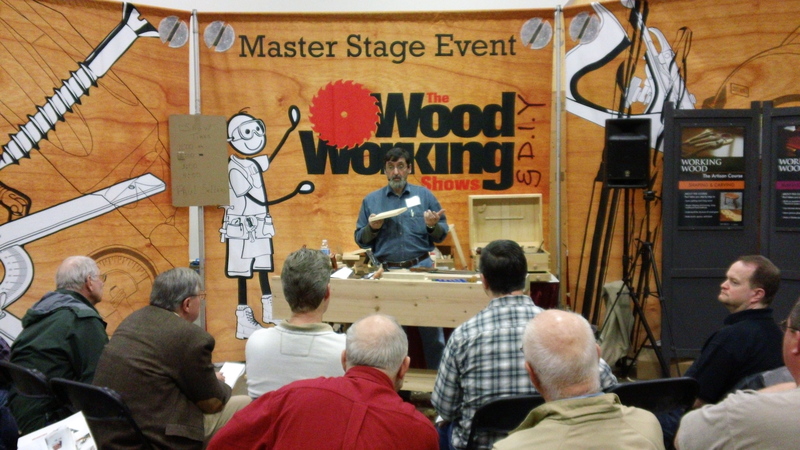 I recently had the opportunity to meet Alex Snodgrass from Carter Products at one of the Woodworking Shows, and attended his band saw tune up clinic. I was amazed as to how he made it look so simple. I currently own a Powermatic 14 inch band saw and found his tips and techniques to be some of the best. 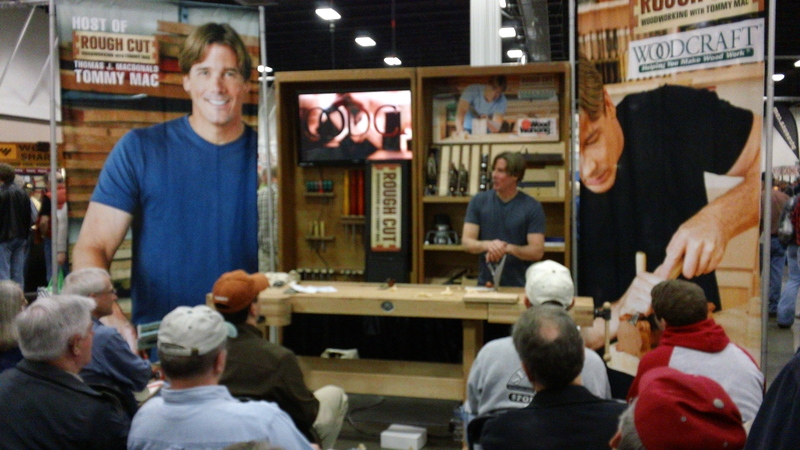 Of course, you can’t leave any woodworking show with out a few new woodworking toys. I purchased 2 of the Carter band saw blades one for general work, and one for re-sawing. I also replaced my stock fence with their trademark MAGFENCE. The fence is simple to use and it made re-sawing matched bookends a breeze. If you’re at a woodworking show and Alex Snodgrass from Carter Products is there, take the time to visit their booth and check out his band saw tune up clinic and their great product line, you won’t be disappointed. Well that big day finally arrived !! The one I’ve been saving my extra change for, working overtime. “The Woodworking and D.I.Y. Show”. 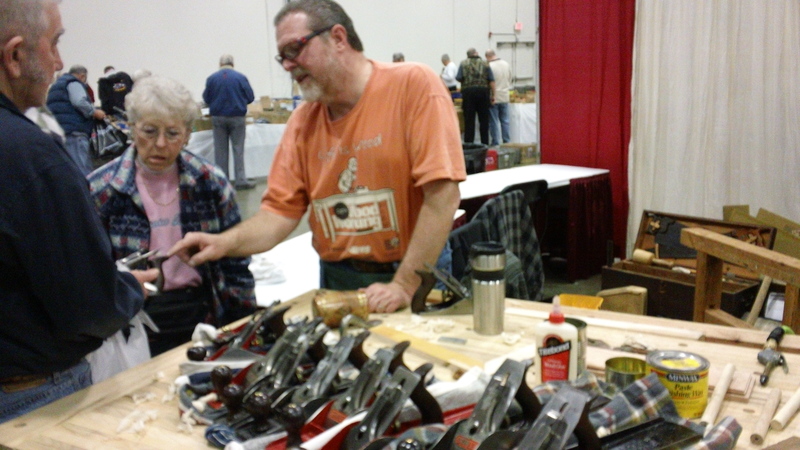 If your anything like most woodworkers just the initial excitement of walking into the show room seeing vendors with wall to wall tools, and product demonstrations for as far as the eye can see was well worth the wait. I felt like a kid in a candy store, holding on to that almighty dollar while looking for that special priced tool or jig, maybe an upgrade to my hand or power tool collection. But what ? then at the same time the logical part of me is just trying to justify why do I need it ?? Or maybe , I can just find that latest and greatest jig that simplifies a project. I must say I wasn’t disappointed, and did find a few bargains. 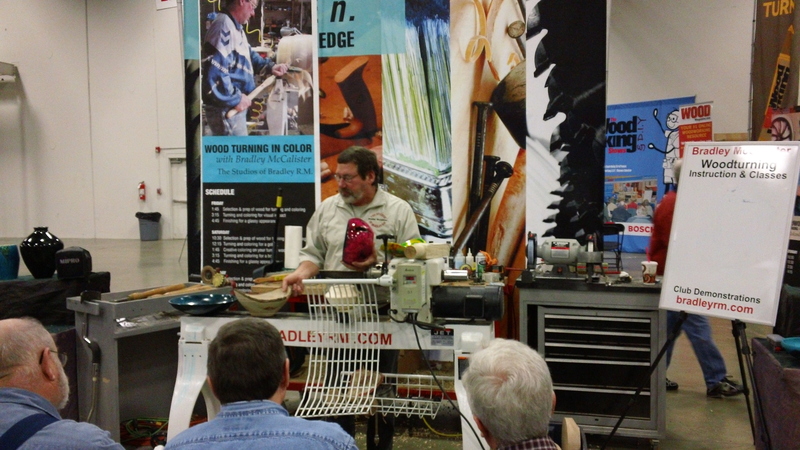 I not only found some great deals on tools but enjoyed many instructional demonstrations and classes from Tuning Your Band Saw, Wood Turning In Color, Cabinet Building, and Finishing just to name a few. 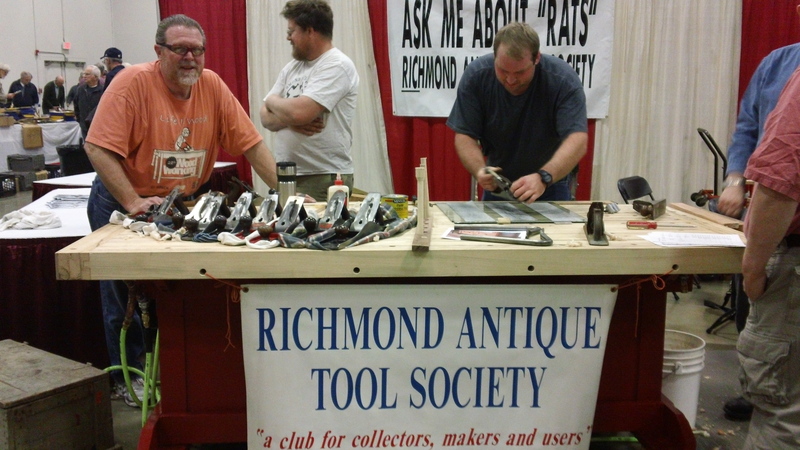 There was one booth in the show that I really enjoyed, it was a local club called (RATS) Richmond Antique Tools Society. I spent a few days going back and forth to the booth talking with a craftsman I’ll just give his first name Richard. I learned more about antique hand planes, tuning and sharpening techniques, and the history of various traditional hand planes then I thought possible in a short weekend. As I watched a few of the hand tool demonstrations and sharpening techniques, I knew I wanted to join this club. 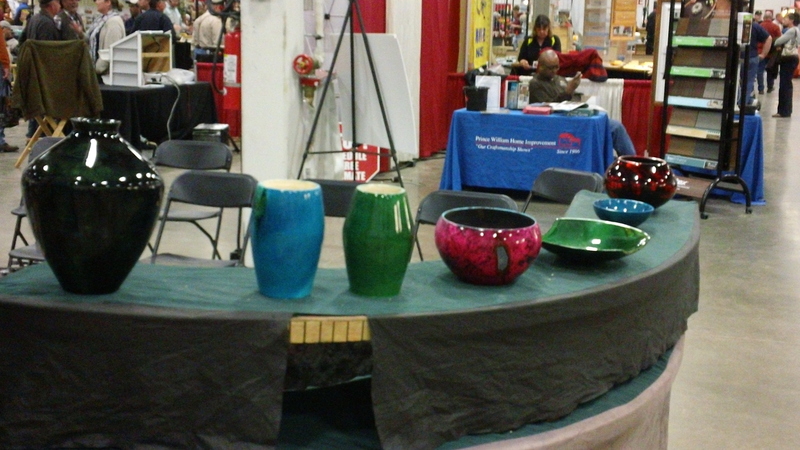 Every member I met had great knowledge of antique tools, as well the art and craftsmanship they were used for. If you live in the Richmond area this is a club you may want to check out. 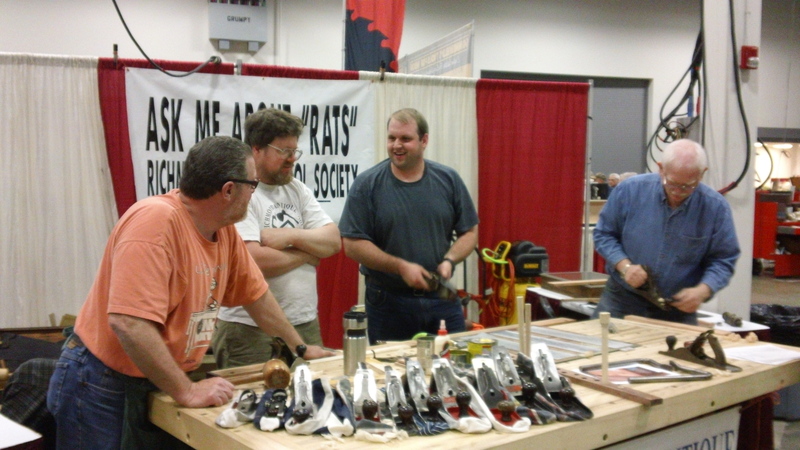 They made me feel welcome from the moment I visited the booth..
I’m looking forward to joining just to sharpen : ) my knowledge of traditional antique hand planes, antique tools, and early american craftsmanship. Attached are a few pictures below..